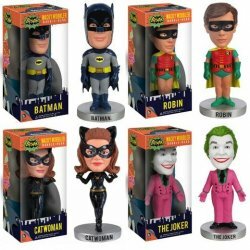 Based on the 1966 Batman television show starring Adam West, Funko proudly hails the most classic Batman of them all. ... along with his sidekick and all of those evil VILLAINS. Brand new and individually boxed as shown. Also see our many other Funko products available for purchase!